While most Farm Barter Faire events take place at Edelweiss Ranch & Rabbitry in Graham, Washington, we also sometimes have sister locations that often host events. Edelweiss Ranch & Rabbitry is a small, family-run farm. 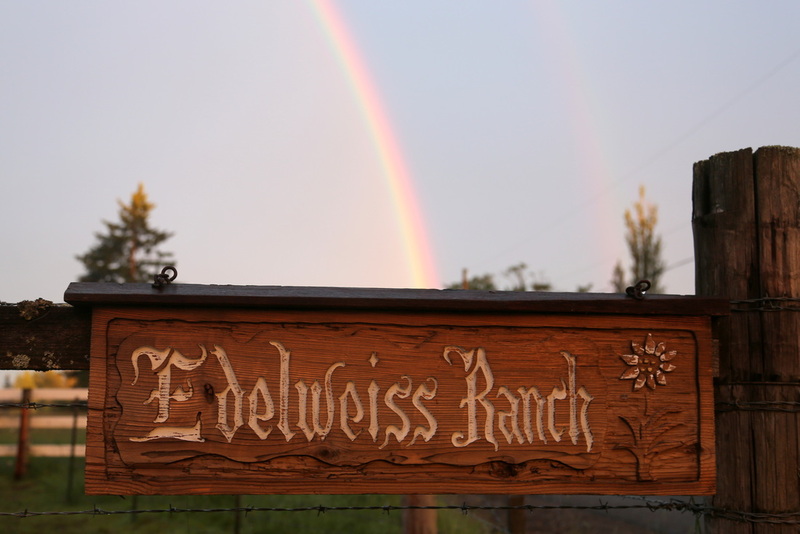 You can learn more about Edelweiss Ranch & Rabbitry at www.EdelweissRanch.com. Via Meridian: Take WA-167 S. Take the exit onto WA-512 W toward WA-161 S/Puyallup/Olympia. Take the exit for Eatonville (Signed Eatonville, South Hill Mall, and Northwest Trek). Turn left onto 31st Ave SW. Continue straight onto WA-161 S/Meridian Ave E. Travel 11.5 miles, then turn right onto 288th St E. We are on the left-hand side about the fourth place up. Via Canyon Road: Take WA-167 S. Take the exit onto WA-512 W toward WA-161 S/Puyallup/Olympia. Take the exit for Canyon Road toward Summit. Turn left onto Canyon Rd E. Travel 5.8 miles then turn left onto Knoble Rd E. Continue onto 204th St E. Turn right onto Eustis Hunt Rd. Continue onto 82nd Ave E/Weathers Rd. Continue to follow 82nd Ave E. Turn left onto 224th St E. Turn right onto Meridian Ave E. Travel 4 miles, then turn right onto 288th St E. We are on the left-hand side about the fourth place up. From Tacoma: Take Interstate 5 S. Take exit 127 for WA-512 E toward Puyallup. Turn left onto WA-512 E (signs for Washington 512 E/Puyallup). Take the WA-7/Pacific Ave exit toward Parkland/Spanaway. Turn right onto WA-7 S/Pacific Ave S. Continue to follow WA-7 S. Turn left onto 260th St E/Benston Kapowsin Rd. Turn right onto 70th Ave E. Continue onto Mathias Webster Rd E/Webster Rd E. Turn left onto 288th St E. We will be on the right after the bridge and the big hay field.